You get a team of workers’ compensation professionals with over two centuries of experience! 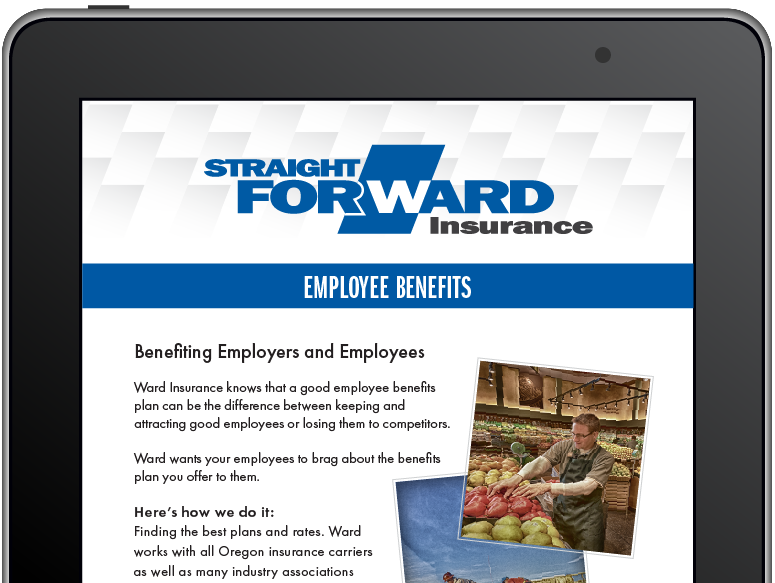 Ward’s work comp clients outperform their peers, so they enjoy favorable rate tiers and lower experience modification factors which allows them to compete more aggressively. Perhaps that’s why we retain 99.9% of our clients year after year. Information: We monitor industry trends and regulations continuously. We are ready to answer any questions you have about workers compensation across the country. Options: We have carrier partnerships to offer you options in plan design whether you need individual or group; will perform best in a guaranteed cost, loss sensitive, captive, or self-insured plan; are focused on tax considerations, cash flow, wealth transfer, or other interest. Contact: We schedule annual service plans, including periodic client meetings, to review carriers, plan design, payment options, goals, loss prevention, claims and stewardship. Education: We provide clear communication materials explaining your program options, performance trends and goals. Advocacy: We represent you in all situations, with no allegiance to any specific carrier or vendor. Tools: We build you meaningful tools for accounting accrual, premium allocation, audit reconciliation, bidding, and budget projections. Focus: Our workers compensations sales and support staff are specialist who place and service workers compensation coverage exclusively. We are ranked in the top 3% of all Oregon work comp agents. And we have clients in over 40 states. Loss Prevention: Bill Day and Emily Lubman analyze your facilities, equipment, OSHA compliance, jobsite practices, employee and safety manuals, and more, with a goal to reduce risk, losses and premium. We have staff trained in industrial hygiene available for consultation and oversight. Claims Management: Rebecca Wright is Ward’s in-house claims manager working full-time to help you process and settle workers compensation claims. Analytics: Shelley Sage uses data to tell your story. Indexed loss data ties experience to exposure. Predictive analytics answer “what if” questions. Ad hoc reports justify or consider expenditures. Benchmarking keeps you competitive. We do due diligence.